I’ve never noticed this before… or maybe it’s a new feature that Google recently added. What’s missing? 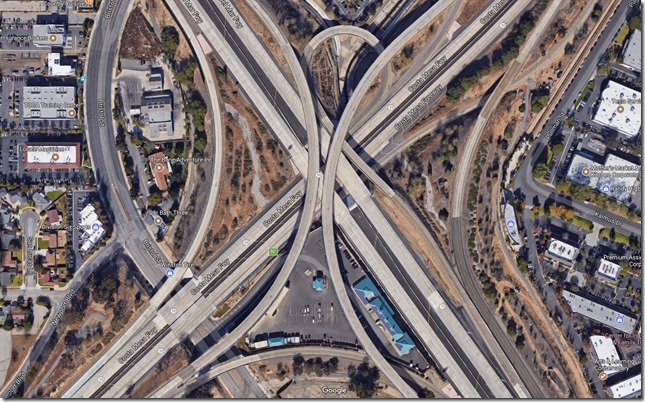 Cars on the freeways! I can’t believe if missed this before! 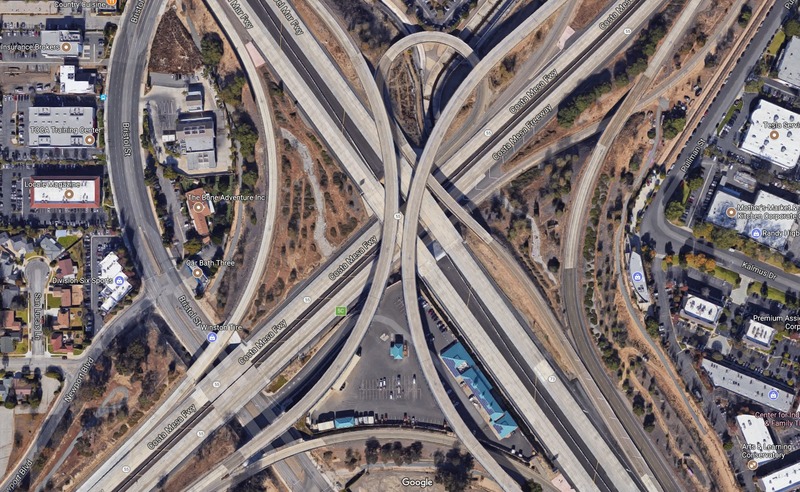 I looked all over the freeways around LA, and except for a few anomalies, it looks like Google has removed vehicles from the roads! Considering that they have a bazillion photos (not a real number, it’s just obvious that they have a huge number of pics) of all kinds of terrain and roadways, that must be a pretty amazing algorithm to automate the removal of vehicles from the roads.